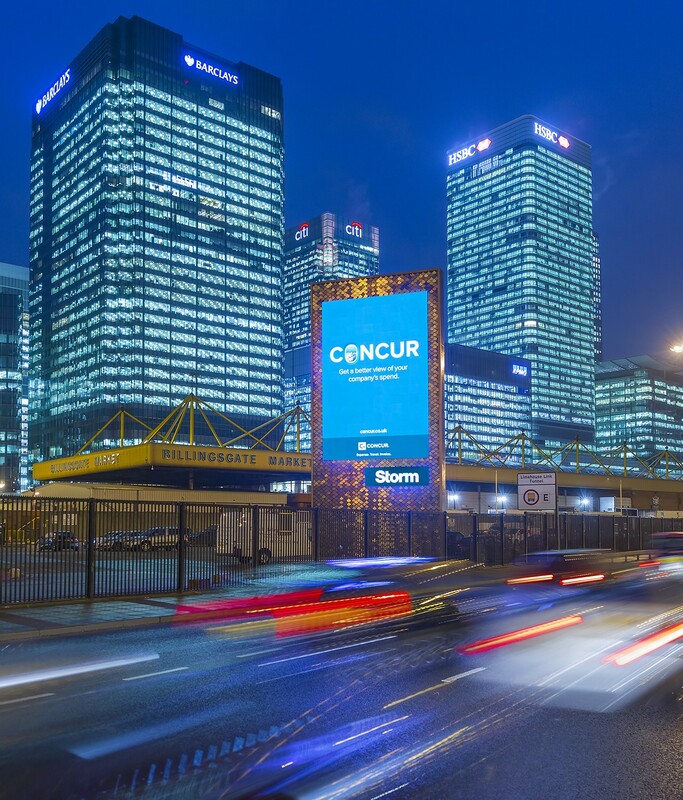 In a media first, expense management experts Concur ran a reactive DOOH campaign with Maxus and Kinetic on Storm’s Billingsgate Tower and Shoreditch High Street screens, targeting heavy traffic flow in East London hotspots, including Canary Wharf, Brick Lane and Spitalfields. 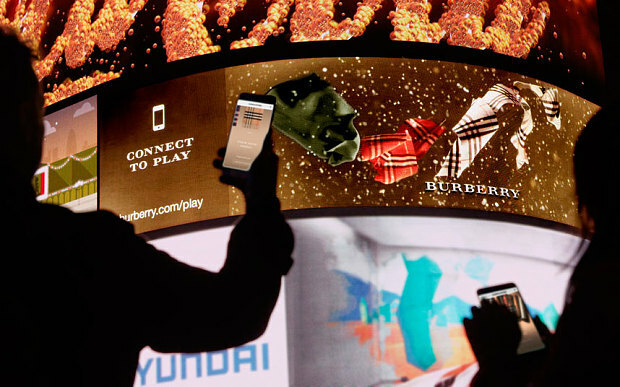 Burberry uses DreamWorks Animation movie technology to beam personalised scarves onto Piccadilly's curved screens. 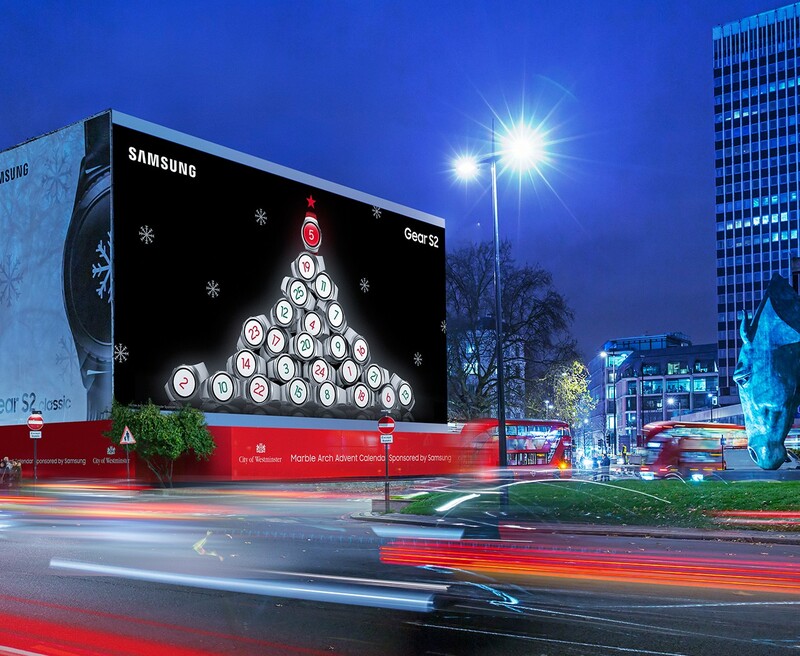 A giant advent calendar is coming to the heart of London’s West End thanks to a partnership between Westminster City Council and Samsung. 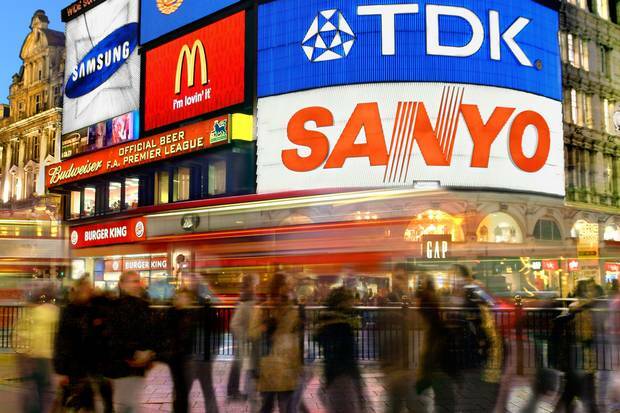 Ad spend in the UK has hit a record high, rising 8.2 per cent to over £4.7bn in the first quarter of 2015, and is set to outpace the rest of Europe this year and next. 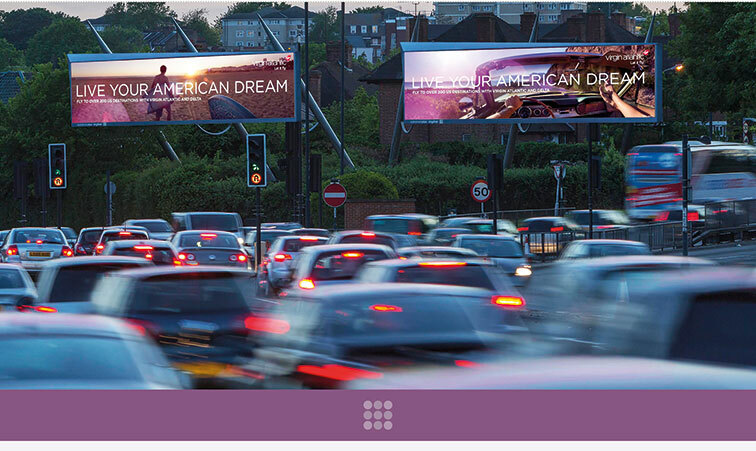 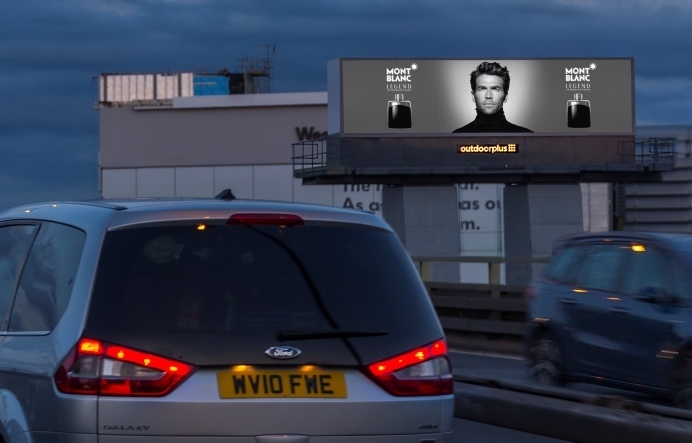 Hot on the heels of Henlys Corner, Outdoor Plus launches the only landscape digital opportunity on the M4. 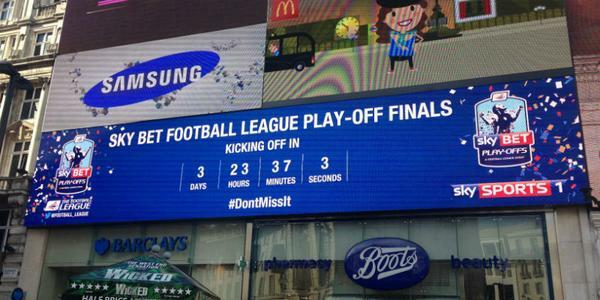 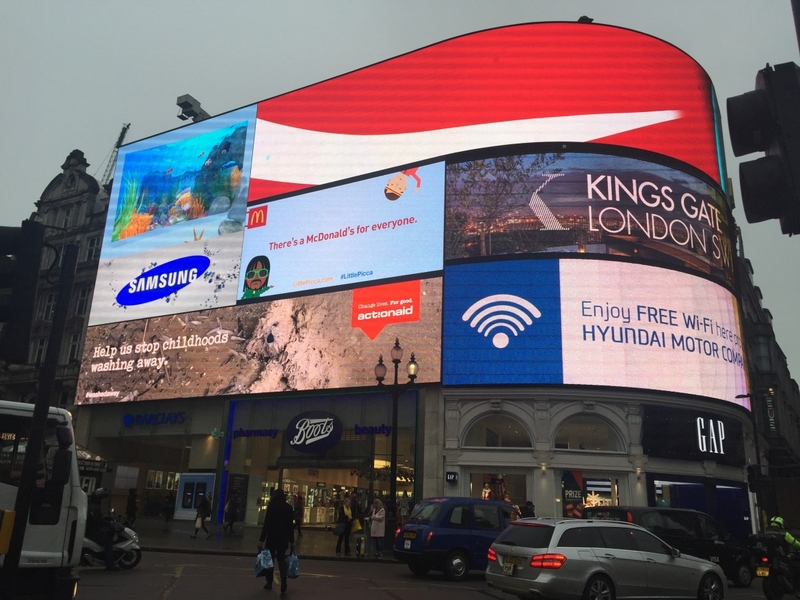 The state of the art high-resolution screen launched on Monday with campaigns from Virgin Media & TSB. 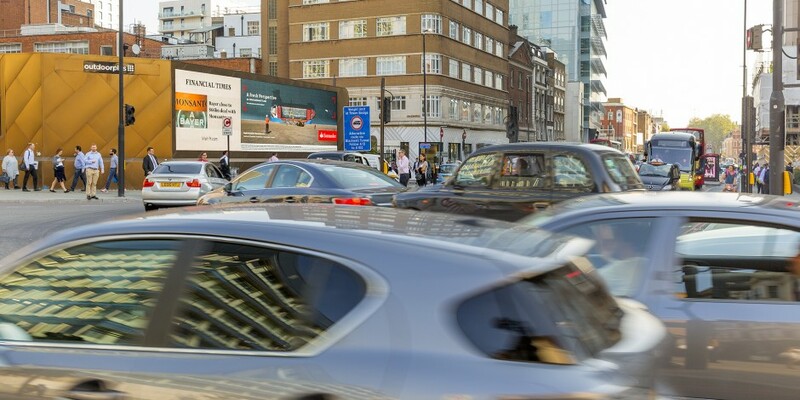 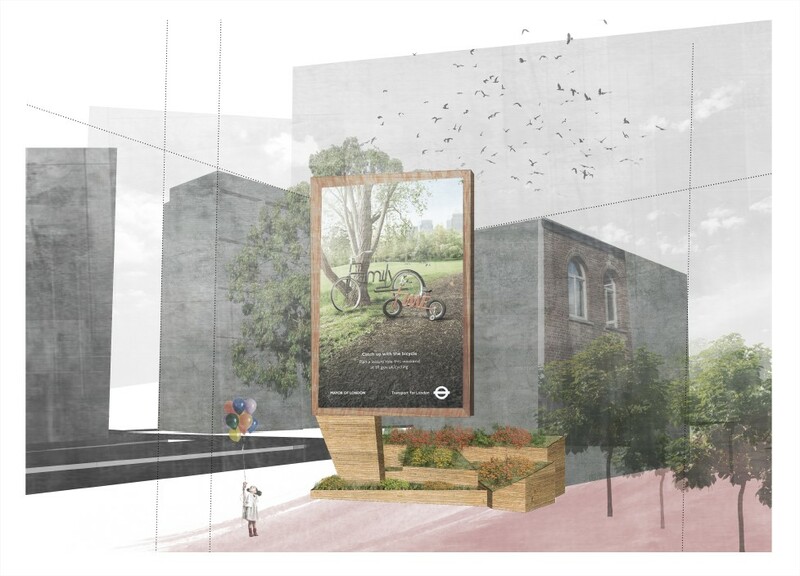 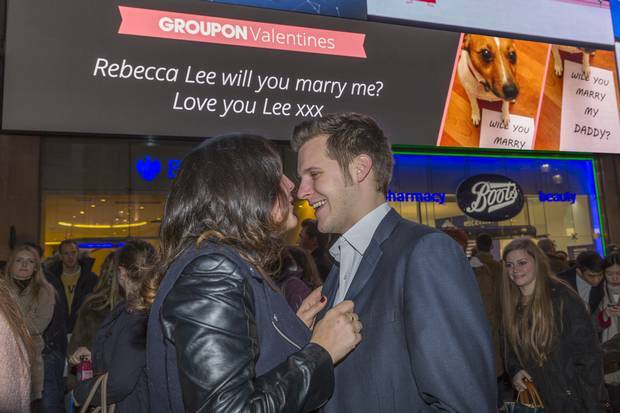 Outdoor Plus, one of London’s innovative digital out-of-home companies, has launched a new site at Henlys Corner, transforming the hotspot into two ultra premium digital screens. 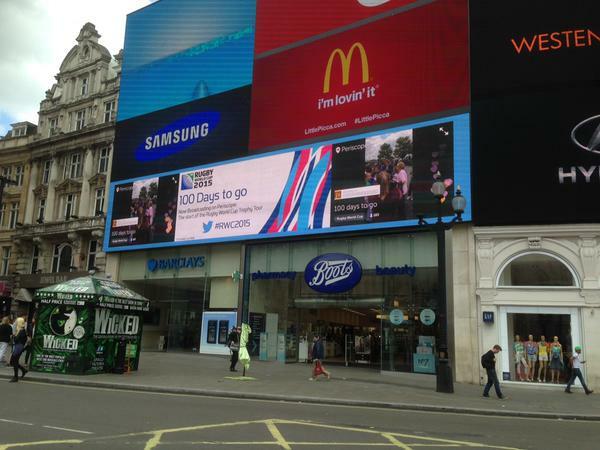 Prince Harry today marked the start of the 100-day countdown until the 2015 Rugby World Cup by launching a trophy tour at Twickenham stadium - and having his words broadcast to the crowds in Piccadilly Circus. 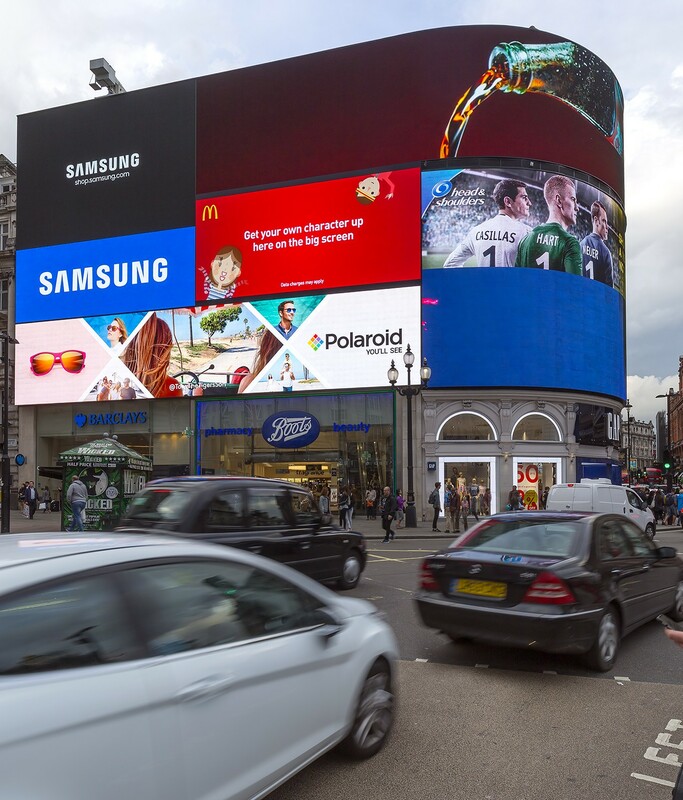 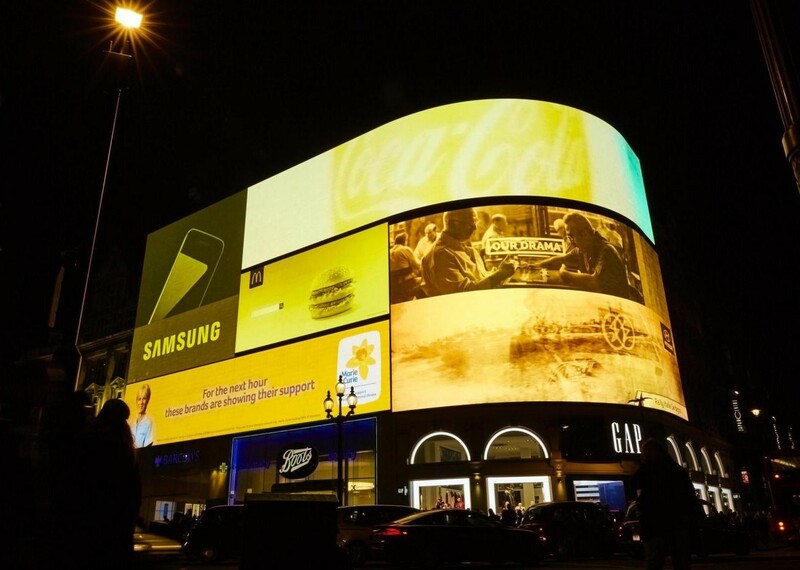 From Bovril to Guinness and Coca-Cola to McDonalds, Piccadilly Circus is the nation’s most famous advertising space. 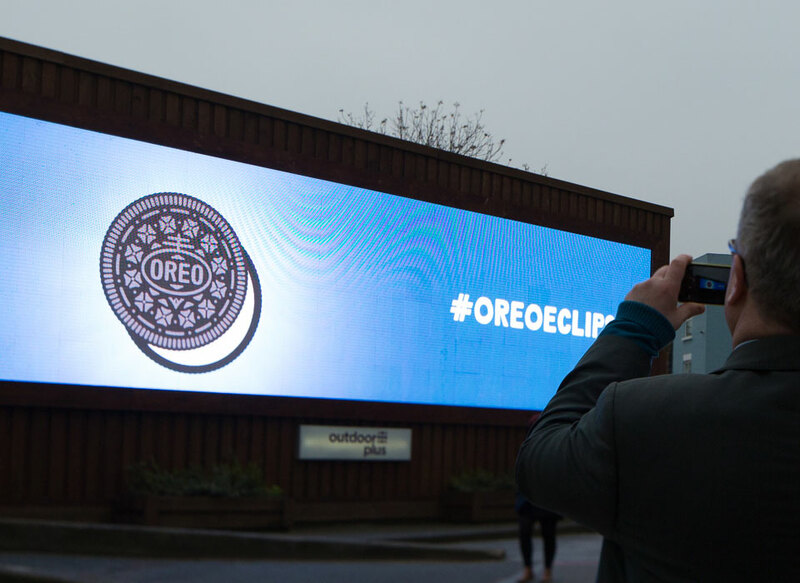 But the lights have gone out for one long-standing technology brand. 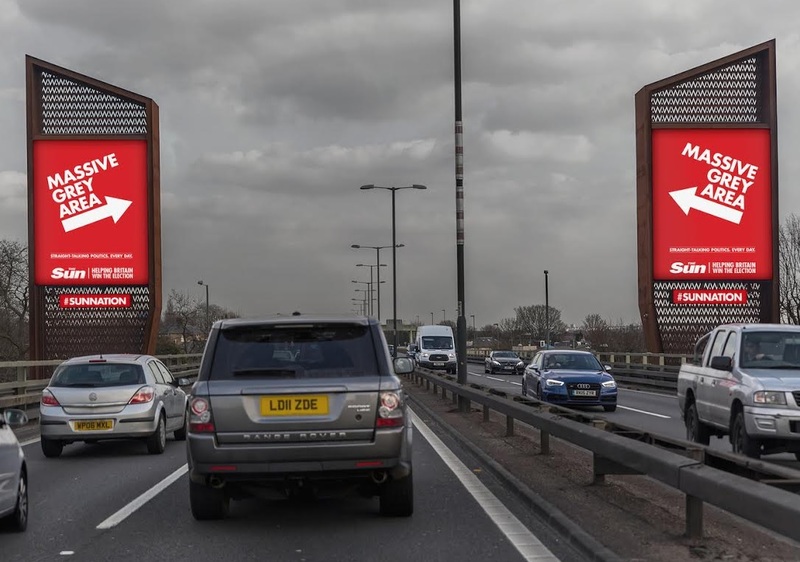 The Huffington Post has signed a three-month deal with Outdoor Plus, which will see content from the news site available across Outdoor Plus' Shopping Centre network though an RSS feed. 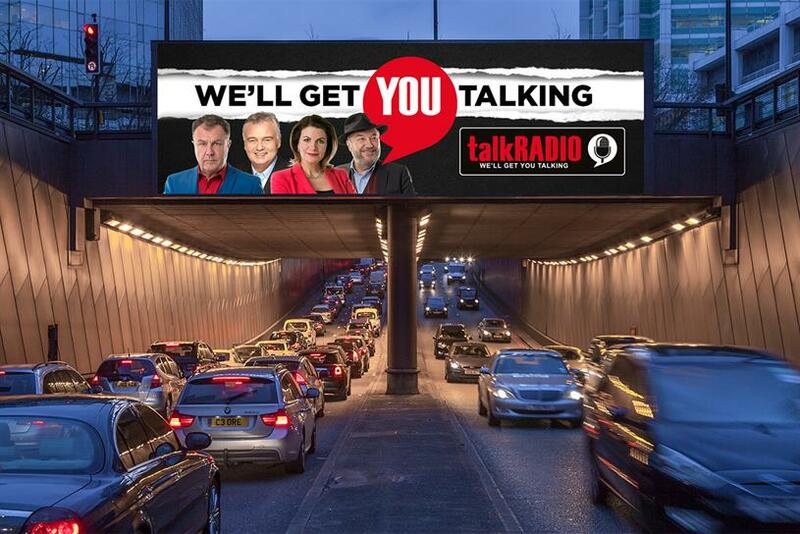 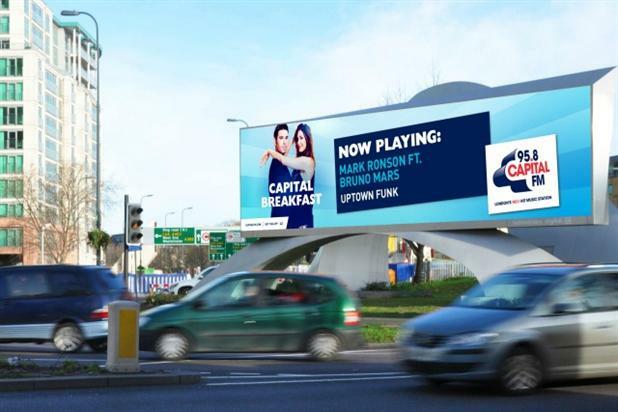 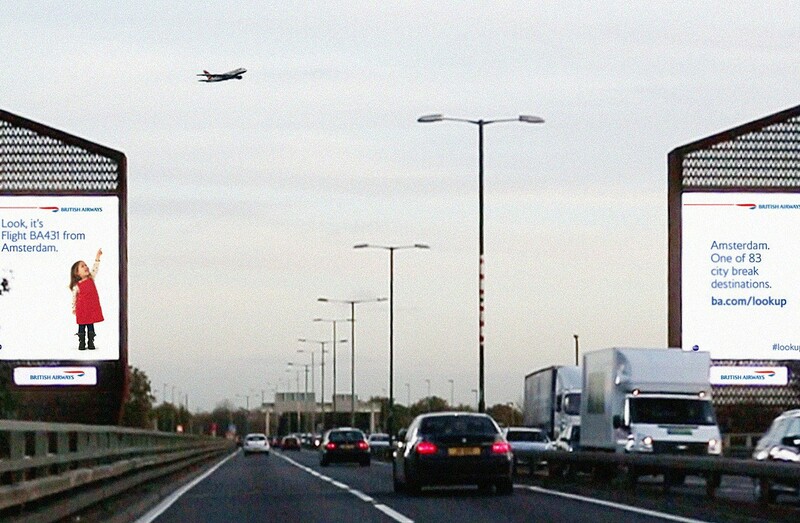 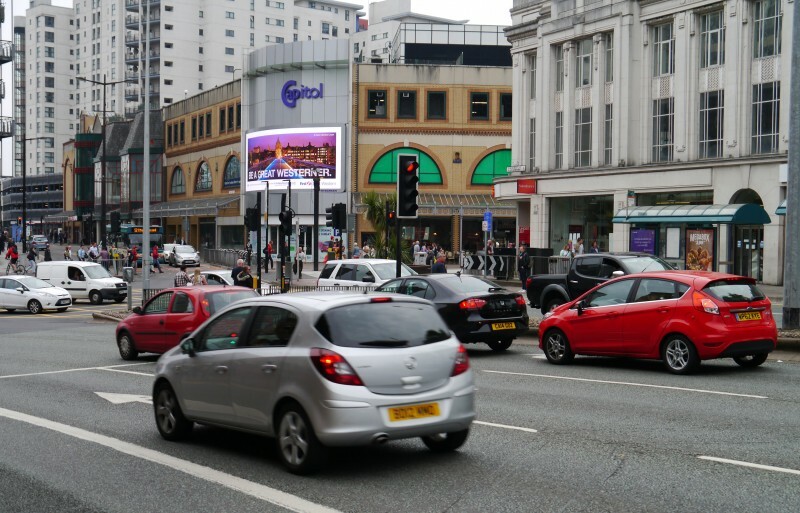 Capital is streaming tracks played on the breakfast, mid-morning and drivetime shows on digital Outdoor Plus billboards, to persuade commuters and workers to switch over to the station. 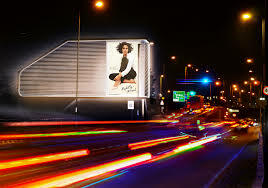 One of the world’s most famous advertising hoardings is up for sale for the first time in 24 years. 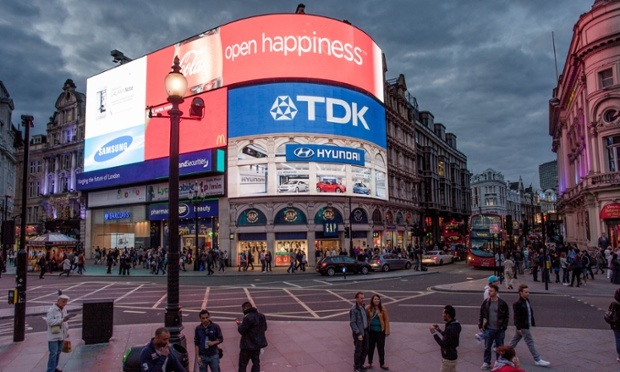 The prime slot on the Piccadilly Lights, the electronic display at Piccadilly Circus, is on the market after Japanese firm TDK’s contract ended.